For the record, here's the point where people get moderately bent at programming books when they can't seem to figure something out. Again, this is my problem, not Zed or Rob's, but it does point out what often comes to be a challenge for many. When you get stuck on a concept, oftentimes, there really isn't a way to move forward until you figure it out. While I don't want to get all the way through the book and decide I'm stranded on one point, two exercises call for me to have my act together on this functionality (which makes perfect sense, because in life, you have to make the system work before you can add new features. Thus, I'm reviewing this chapter with a significant handicap; I'm still stuck from Exercise 48. With this output, we should be able to now take the token pairs and make an actual sentence, using a Sentence class. So the primary goal of the sentence class is to turn the lists of structs above into a Sentence object with a subject, verb, and object. - A way to loop through the list of structs. 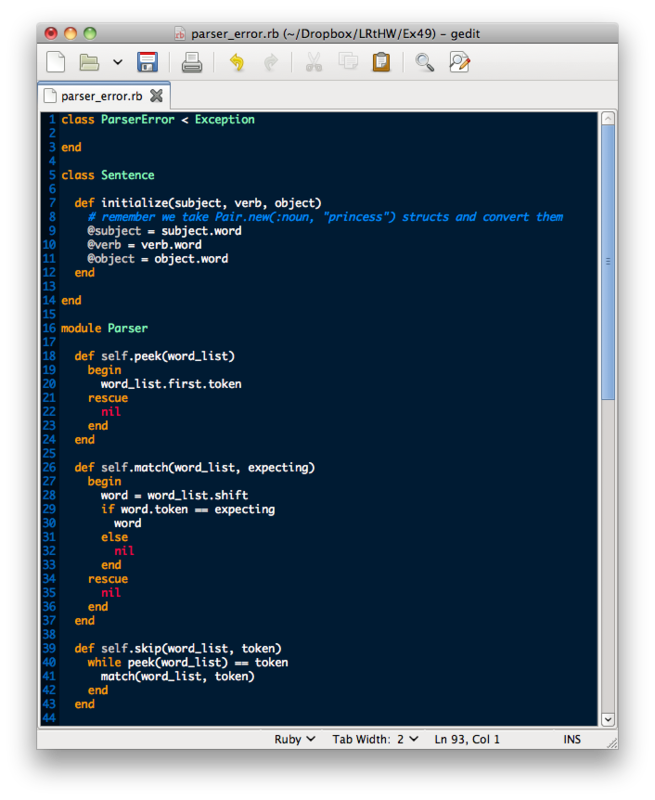 - A way to "match" different types of structs that we expect in our Subject Verb Object setup. - A way to "peek" at a potential struct so we can make some decisions. - A way to "skip" things we do not care about, like stop words. - We use the peek function to say look at the next element in our struct array, and then match to take one off and work with it. - Identify the next word with peek. - If it doesn't, raise an error (see below). When we're all done, we should have a Sentence object to work with in our game. 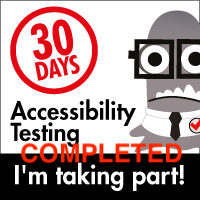 So this time, instead of being given the test and trying to figure out the code, this time, we get the code and we then figure out how to write the test to meet the requirements. The sections below are advice given by Zed and Rob. It's printed in italic to show it's their words verbatim. This code uses something in Ruby called a "module" named Parser. A module (created with module Parser) is a way to package up the functions so that they don't conflict with other parts of Ruby. In Ruby 1.9 there was a change to the testing system that created a skip method which conflicted with the Parser.skip method. The solution was to do what you see here and wrap all the functions in this module. You use a module by simply calling functions on it with the . operator, similar to an object you've made. 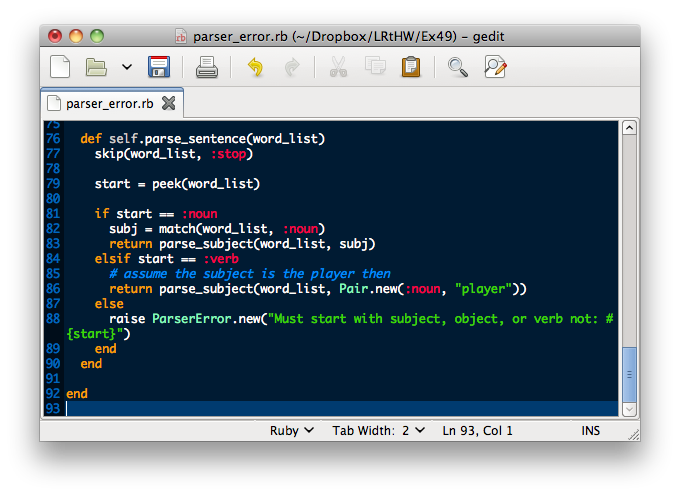 In this case if you wanted to call the parse_verb() function you'd write Parser.parse_verb(). You'll see a demonstration of this when I give you a sample unit test. 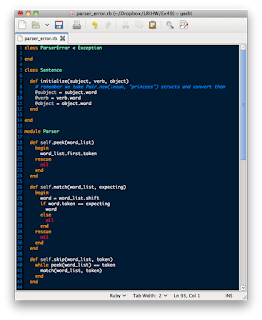 You can see I make the basic test class, then create a test_parse_verb to test out the Parser.parse_verb function. I don't want to do the work for you, so I've made this fail on purpose. This shows you how to use the Parser module and call functions on it, and you should work on making this test actually test all the code. Check for an exception by using the function assert_raise from the Test::Unit documentation. 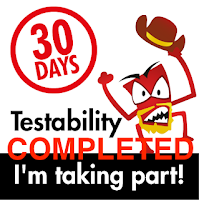 Learn how to use this so you can write a test that is expected to fail, which is very important in testing. Learn about this function (and others) by reading the Test::Unit documentation. When you are done, you should know how this bit of code works, and how to write a test for other people's code even if they do not want you to. Trust me, it's a very handy skill to have. 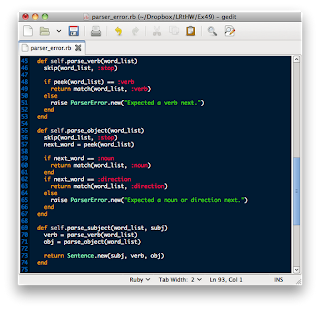 - Change the parse_ methods and try to put them into a class rather than be just methods. Which design do you like better? - Make the parser more error resistant so that you can avoid annoying your users if they type words your lexicon doesn't understand. - Improve the grammar by handling more things like numbers. - Think about how you might use this Sentence class in your game to do more fun things with a user's input.